Victims of the surprise attacks limp into one of this city’s biggest public hospitals. Among the hundreds on a recent day were children cornered in their homes, students ambushed on their way to class and old men ambling back from work. All told the same frightening story: stray dogs had bitten them. Deepak, 6, had an angry slash across his back from a dog that charged into his family’s shack. “We finally closed the gates to our colony and beat the dog to death,” said Deepak’s father. Packs of strays lurk in public parks, guard alleyways and street corners and howl nightly in neighborhoods and villages. Joggers carry bamboo rods to beat them away, and bicyclists fill their pockets with stones to throw at chasers. Walking a pet dog here can be akin to swimming with sharks. A 2001 law forbade the killing of dogs, and the stray population has increased so much that officials across the country have expressed alarm. In Bombay, where more than 80,000 people reported being bitten in 2011, the government plans to conduct a census of the strays by using motorcycles to chase down dogs and squirt their fur with ink. A member of the Punjab Legislative Assembly proposed in June sending strays to China — where dogs are sometimes eaten — after more than 15,000 people in the state reported being bitten last year. In New Delhi, officials recently announced an intensified sterilization campaign. India’s place as the global center for rabid dogs is an ancient one: the first dog ever infected with rabies most likely was Indian, said chief of the rabies program at the Centers for Disease Control and Prevention in Atlanta. Dog bites cause 99 percent of human rabies deaths. Indeed, tackling rabies on the subcontinent is challenging because the relationships that Indian dogs maintain with humans are ancient. 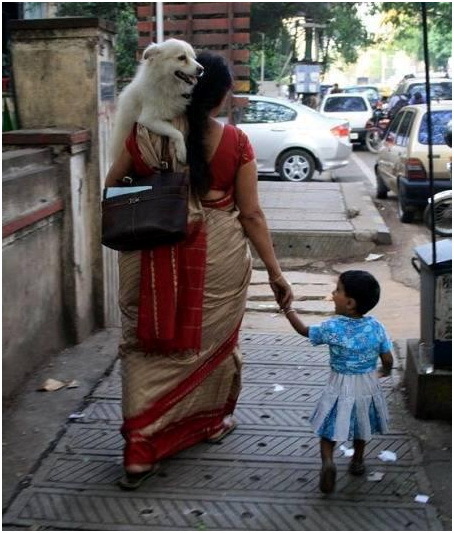 India’s pariah dog, the dominant street breed, is probably a descendant of an early Chinese immigrant, said a professor of evolutionary genetics at the Royal Institute of Technology in Stockholm. With pointed ears, a wedge-shaped head and a tail that curls over its back, the pariah is similar in appearance to other prehistoric dogs like the Australian dingo. 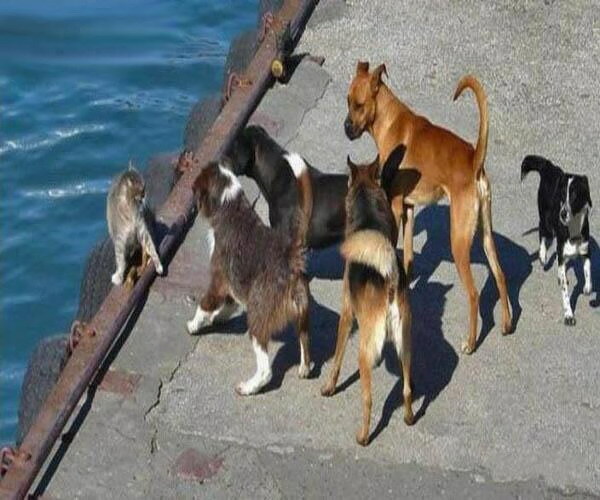 For thousands of years, dogs’ relationship with humans was similar to that of pilot fish with sharks, said director of the Anthrozoology Institute at the University of Bristol in Britain. While that relationship has largely disappeared in the developed world, it remains the dominant one in India, where strays survive on the ubiquitous mounds of garbage. Some are fed and collared by residents who value them as guards and as companions, albeit distant ones. 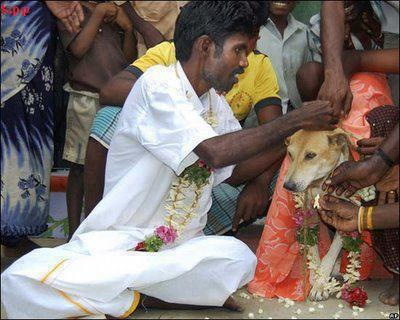 Hindus oppose the killing of many kinds of animals. Malini, who lives in Delhi part time, said she was walking her beloved dog Fudge Cake some years ago not far from Lodi Gardens when “two dogs came out of nowhere and attacked.” Fudge Cake was leashed, so he could not run away. She blames herself for her dog’s death and remains terrified of strays. “It’s very difficult to take a dog for a walk here because of the attacks from street dogs,” said president of the Indian Veterinary Association. Nonetheless, India’s burgeoning middle class has begun to adopt Western notions of pet ownership, buying pedigreed dogs and bringing animals into their homes. But many pedigreed dogs end up on the street, the castoffs of unsuccessful breeders or owners who tire of the experiment. Many of the animals are rabid, and India has more than a third of the world’s deaths from rabies. Stray dogs are dangerous not only because of their teeth but also because they help ticks and other parasites thrive. But animal welfare advocates fervently reject euthanasia, and some warn that reducing the stray population while doing nothing about the country’s vast mounds of garbage could be dangerous because rats might thrive in dogs’ place. Jaipur has reduced its stray population, but it is a lonely exception that overcame not only enormous logistical and financial challenges but cultural ones as well. More than a dozen experts interviewed said that India’s stray problem would only get worse until a canine contraceptive vaccine, now in the lab, became widely and inexpensively available. A pediatrician from Goa, said that India could not wait that long. Dogs must be taken off the streets even if that means euthanizing them, he said. “I am for the right of people to walk the streets without fear of being attacked by packs of dogs,” he said. Kaur was 3 when a stray came in through her home’s open front door and bit her and her grandfather. Within a week, Kaur got a headache and then a fever. Her parents took her to a hospital, but she soon slipped into a coma, in which she remained for nine years before finally dying.